The rapid rise of public cloud brings with it whole new levels of complexity for IT management. Teams are finding that keeping cloud operations organized is a critical key to successfully delivering on business demands. Fugue is excited to introduce powerful new features that centralize AWS infrastructure control and facilitates secure collaboration in cloud ops. Watch this webinar to learn the importance of a scalable foundation for complex cloud ecosystems; and see how you can centralize management of AWS resources across your teams and accounts. 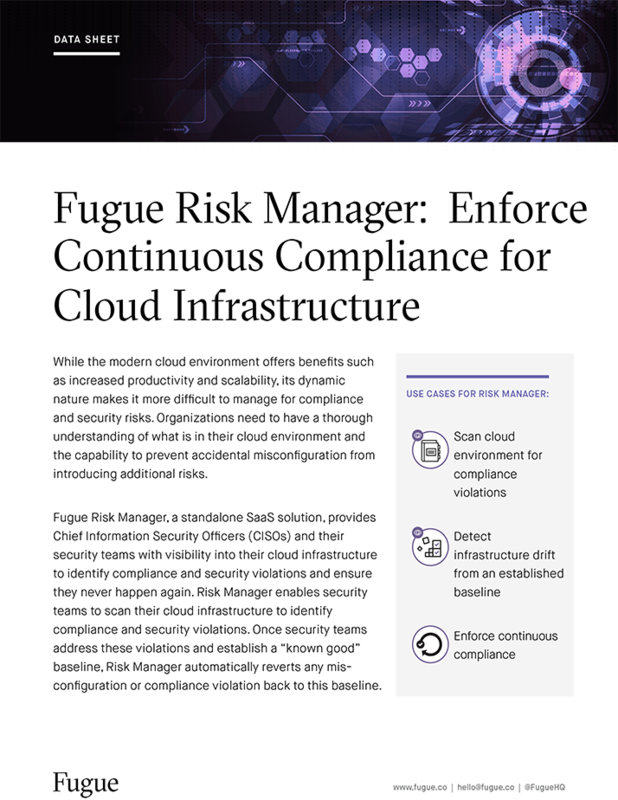 Be able to leverage role-based access controls for secure collaboration; and eliminate state management burdens through automated configuration enforcement with Fugue.